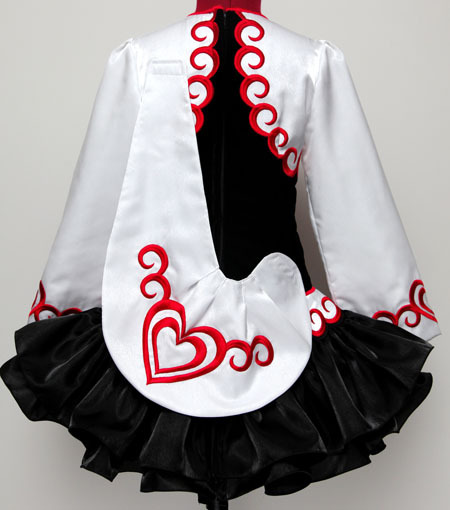 Black velvet and white twinkle satin ‘bolero’ style bodice with vibrant red embroidery design. 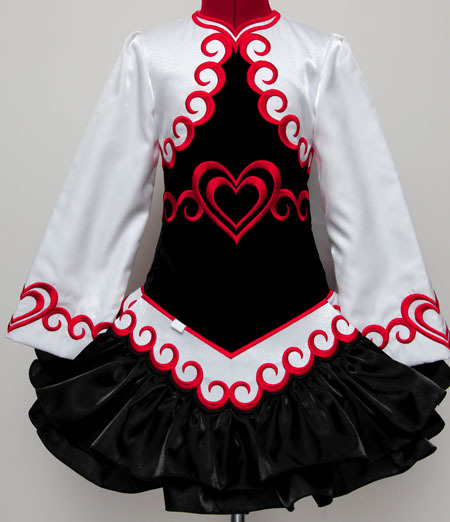 White twinkle satin sleeves, dropped waist bands and soft style shawl with matching red embroidery. White cotton underskirt lining with little red hearts and polka dot design.